I Think I’ll Give This Day the Bird! Remember now, I’m a vegetarian. Over the years I’ve made many turkeys. I don’t usually mind touching them in spite of my veggie status. I realize that Ralph loves turkey and I don’t have a problem in general with preparing meat for him. But yesterday it really got to me at a certain point that involves extracting “something” from “somewhere.” I forged ahead and it turned out great…he is never happier than when he’s eating turkey…and then taking his turkey nap! 😉 He’s always amazed that I can make it and not eat it. He’s also stumped at how I can make him such delicious (his word) turkey soup without tasting it. I just tell him that I made turkey soup for years before I became vegetarian, I tasted it then and I know what to do. He’s happy no matter what…it’s a turkey! While Ralph was oohing and aahing over his turkey, I needed to make something for myself. I decide to try quinoa for the first time. I had gotten it a few weeks ago on my trip to Trader Joe’s and figured it was time to give it a try. 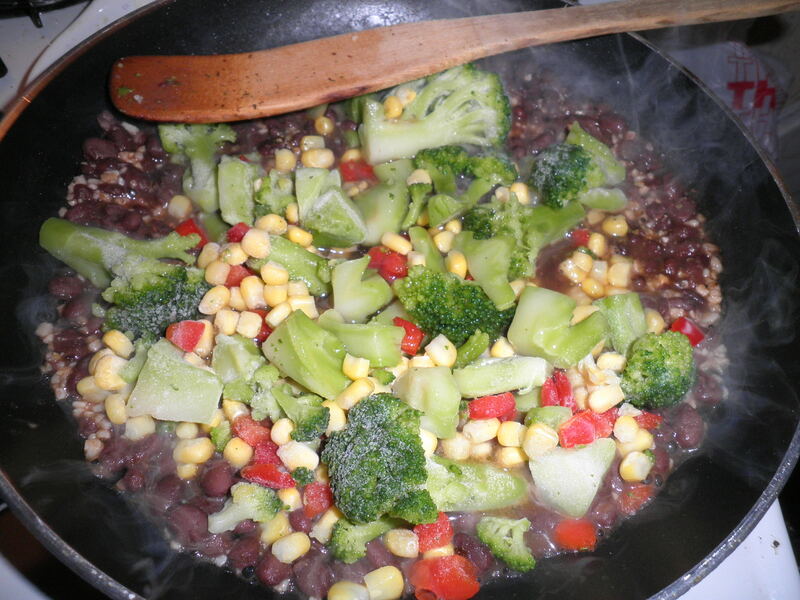 Directions were simple and I used vegetable broth instead of water to cook it. I don’t know if it made a difference, but it was Delicious!! 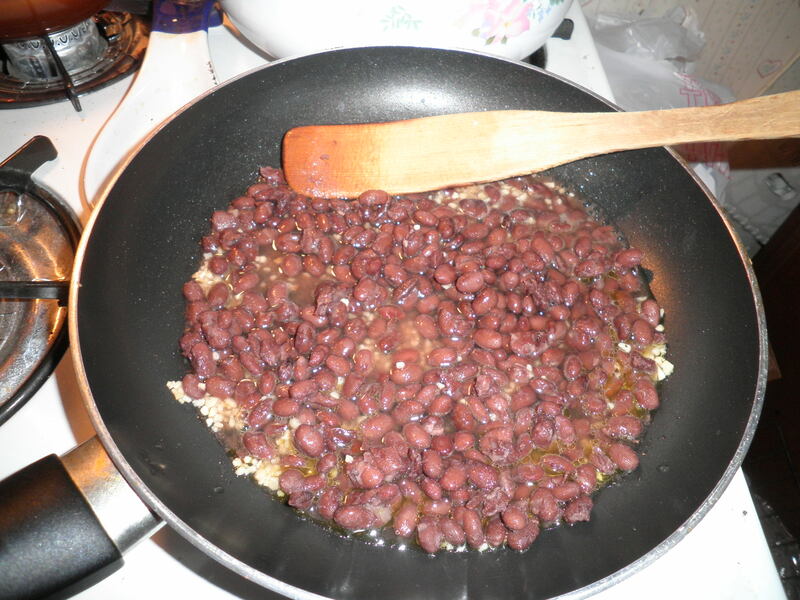 I cooked some garlic in olive oil and then added some of my black beans that I cooked in the crock pot on Saturday..
Piled high on my yummy quinoa! 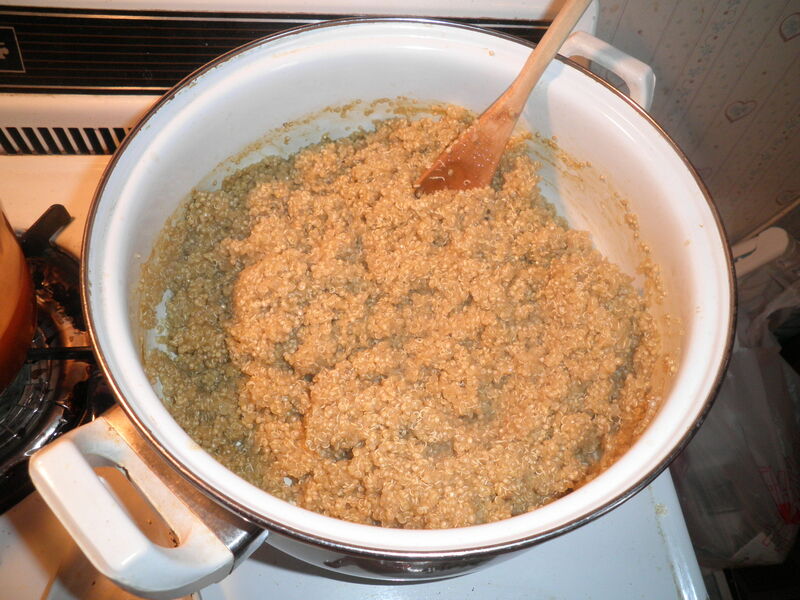 I used about a cup and a quarter of the quinoa and I still have a huge amount left. It will serve me well this week. I’m looking forward to experimenting with combinations. But I bet they will all include quinoa and black beans! 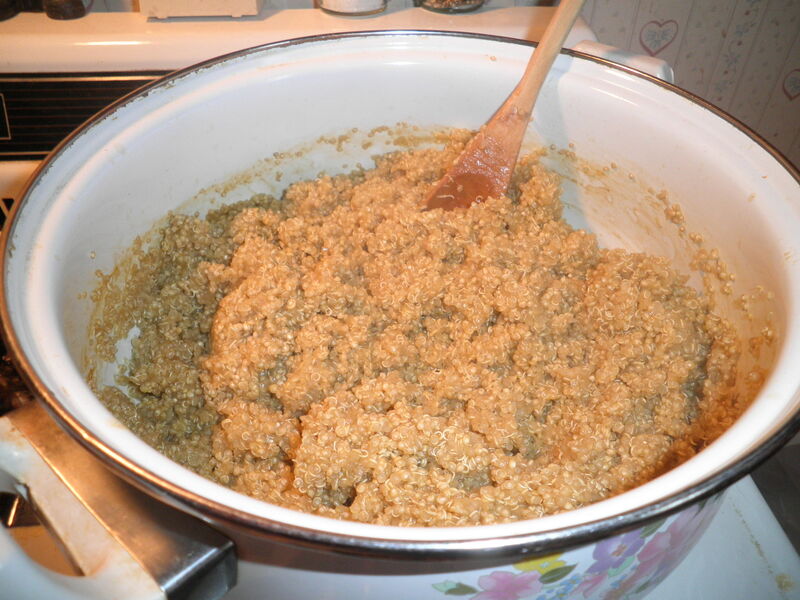 I survived the turkey struggle…and Ralph will be fed all week and then a few more days after I make the turkey soup. He never minds eating it day after day. He’s really very easy to get along with that way. He gets to eat what he wants and he doesn’t mind that I eat something different. He even takes all of the meat off of the turkey for me so that I don’t have to do it. What a guy…I definately won’t give HIM the bird! But I will probably cook it for him again, because between his turkey and my beans and quinoa…I won’t have to really cook again for a week! Not bad…He may get turkey again…especially if it’s free! 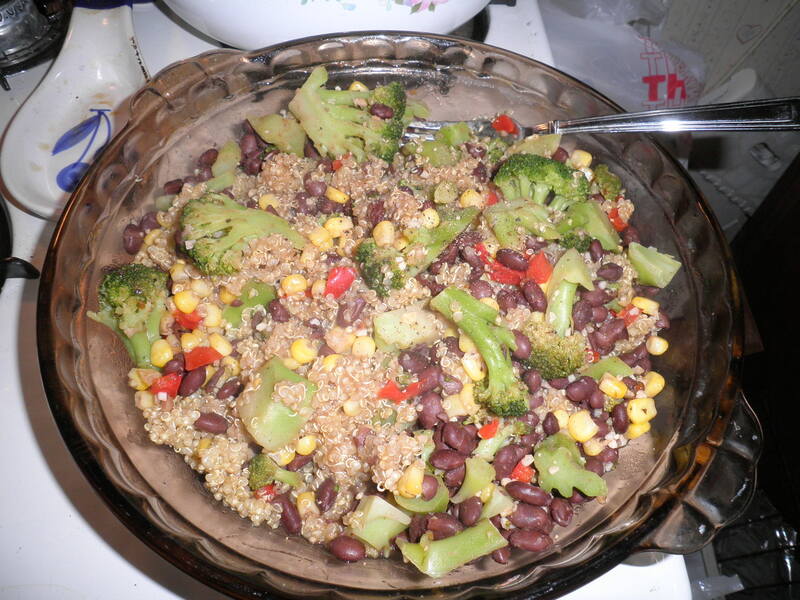 This entry was posted in Uncategorized and tagged quinoa, vegetarian. Bookmark the permalink.